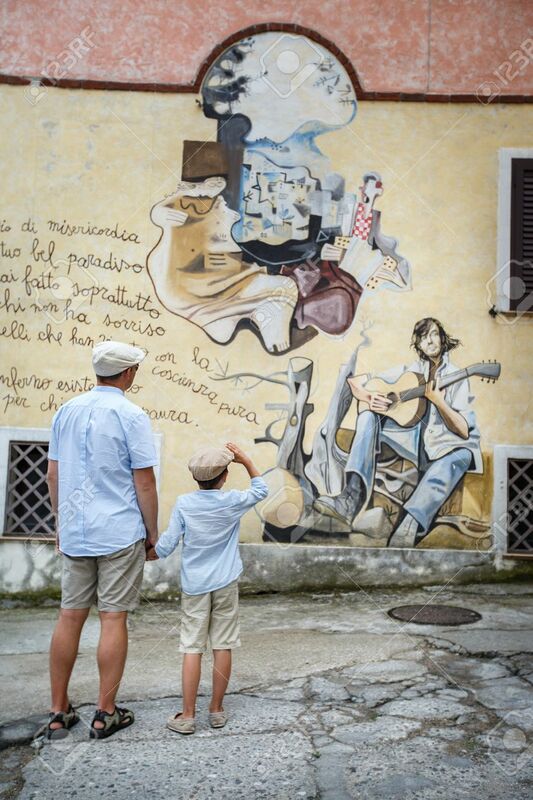 Happy Father And Son Walking Outdoors In Village ORGOSOLO, ITALY... Stock Photo, Picture And Royalty Free Image. Image 32402672. Editorial Use Only: This image can only be used for editorial purpose. Use of this image in advertising, commercial or for promotional purposes is prohibited unless additional clearances are secured by the licensee. 123RF.com does not provide any clearance services. S Web & blogs, social media and mobile apps. M Brochures & catalogs, magazines and postcards. L Indoor & outdoor posters and printed banners. XL Backdrops, billboards and digital screen displays. Using this image on a resale item or template?